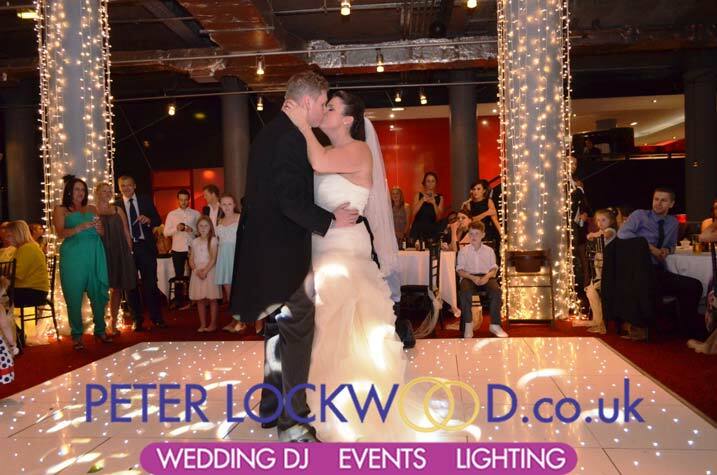 Place Hotel Wedding DJ. 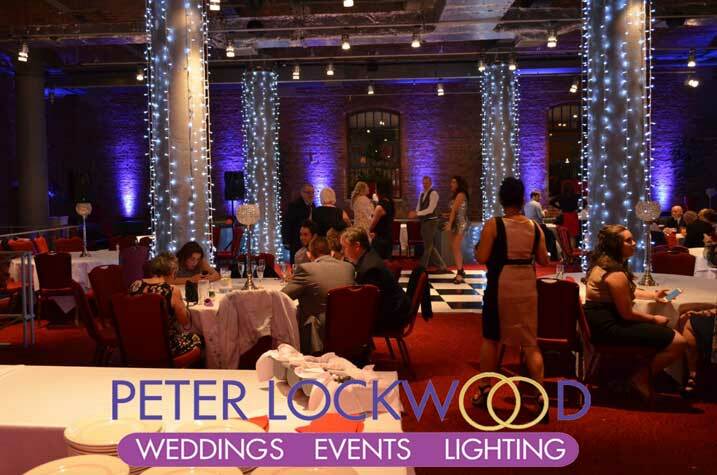 The Place Aparthotel is a well suited venue for Manchester city centre weddings. 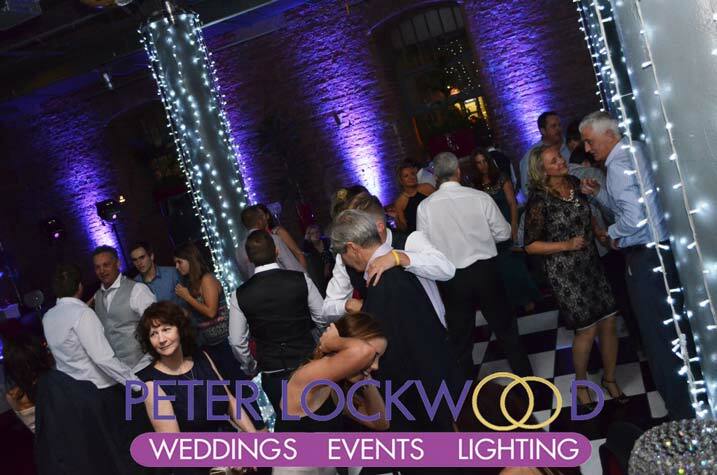 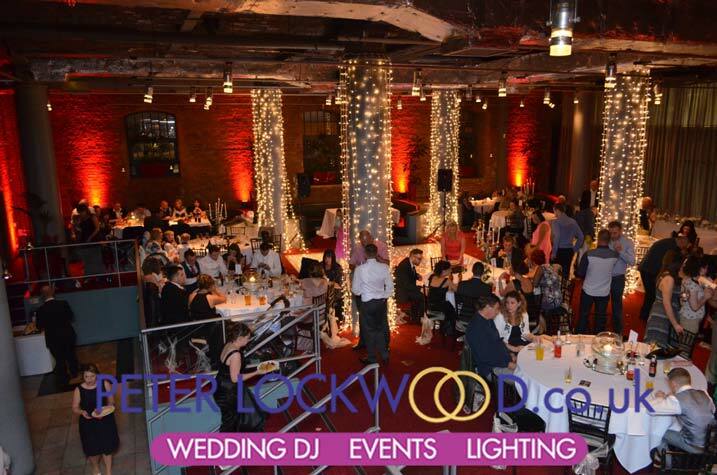 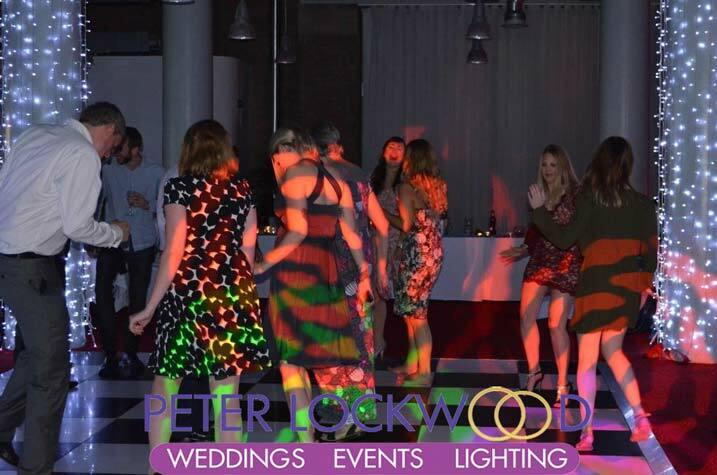 Especially for the exciting photo opportunities and lighting options, with the original features of this Victorian warehouse, that will capture the imagination of brides and grooms to be. 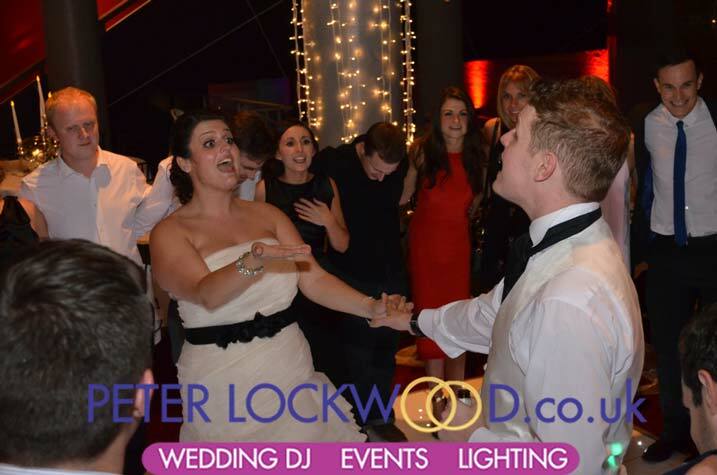 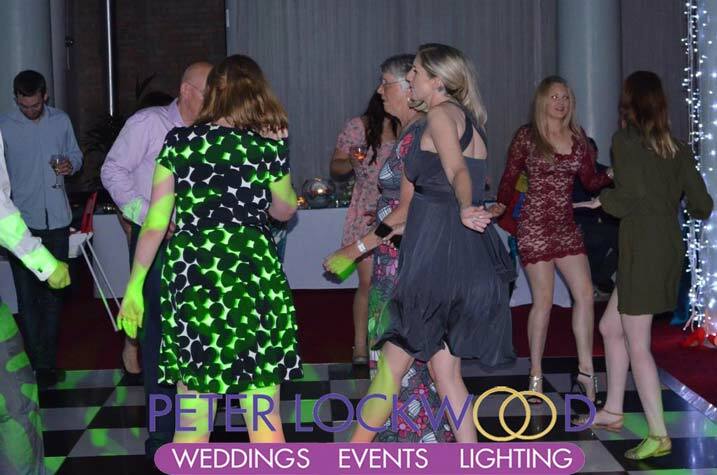 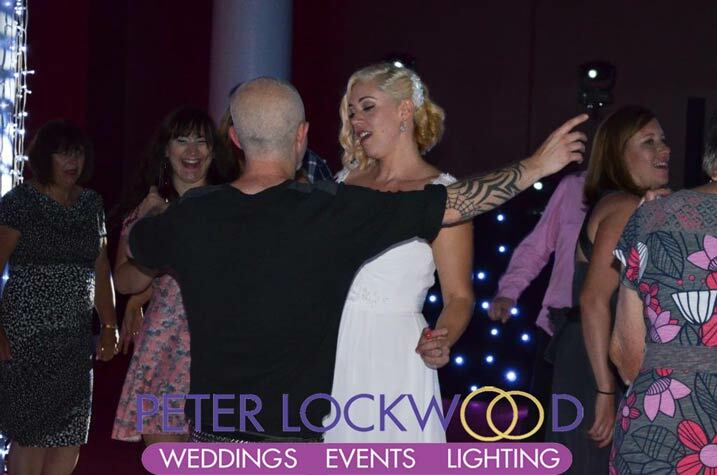 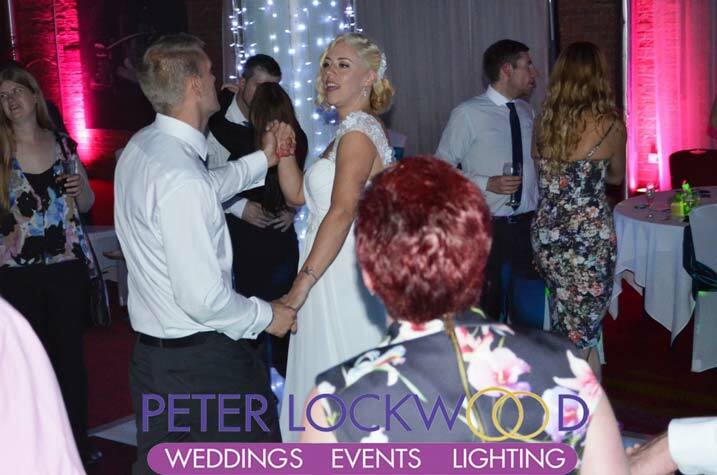 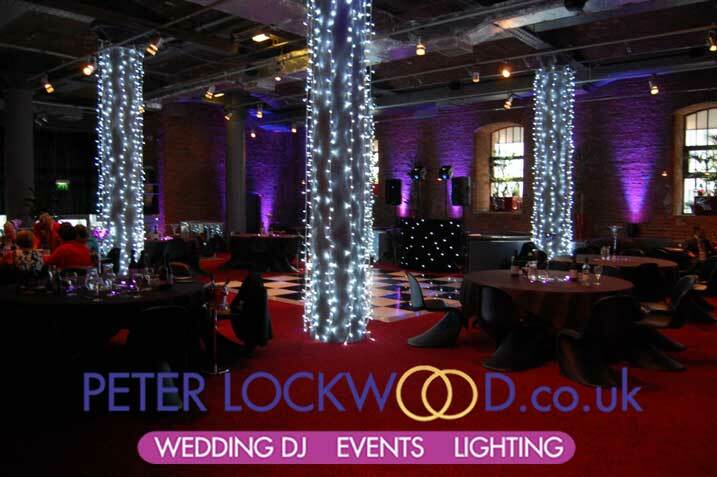 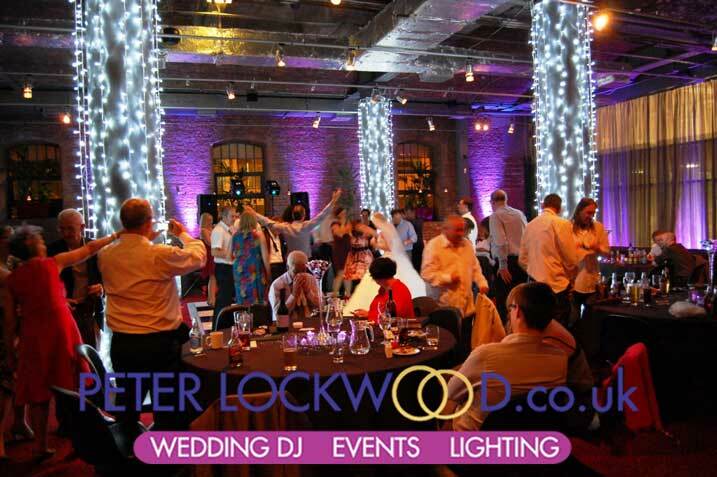 I have provided the white fairy lights on the big grey pillars and wedding up lighting many times in the place hotel, for more lighting Ideas please click the link Place Hotel Wedding Lighting. 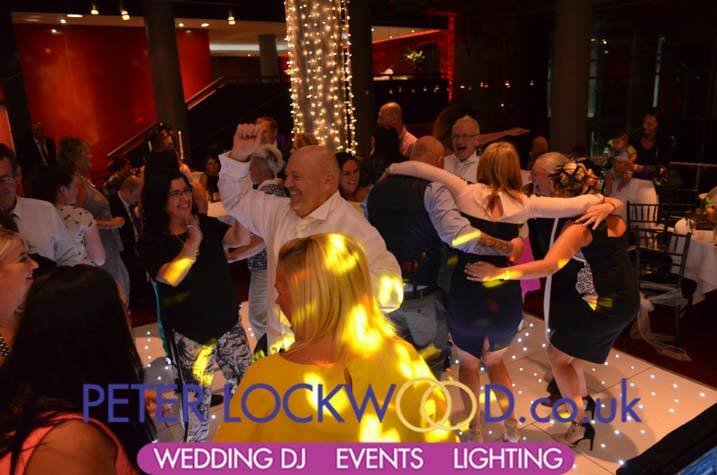 Both of the function rooms in the Place Hotel Manchester have sound limiters fitted,They cut of the power to the dj if they class the volume levels are to loud. 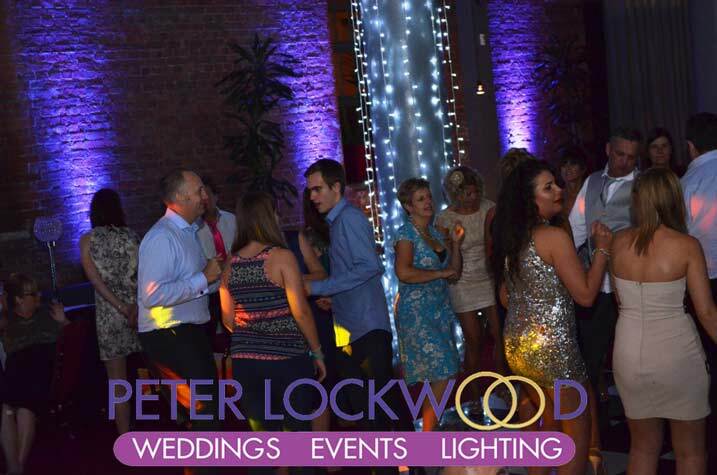 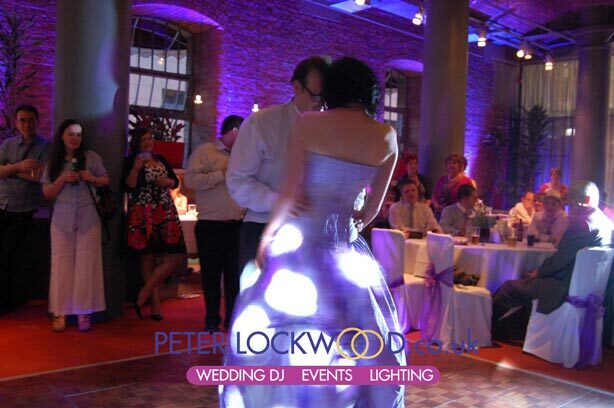 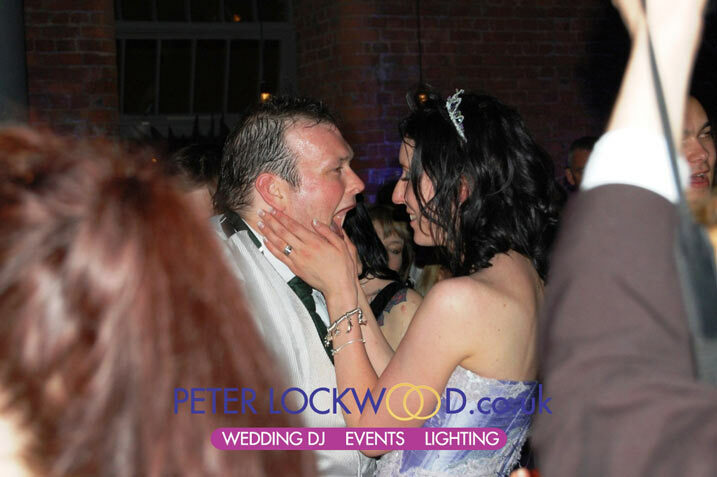 The first set of pictures show my purple wedding lighting and pillar fairy lights in the Bistro along with my Wedding DJ services. 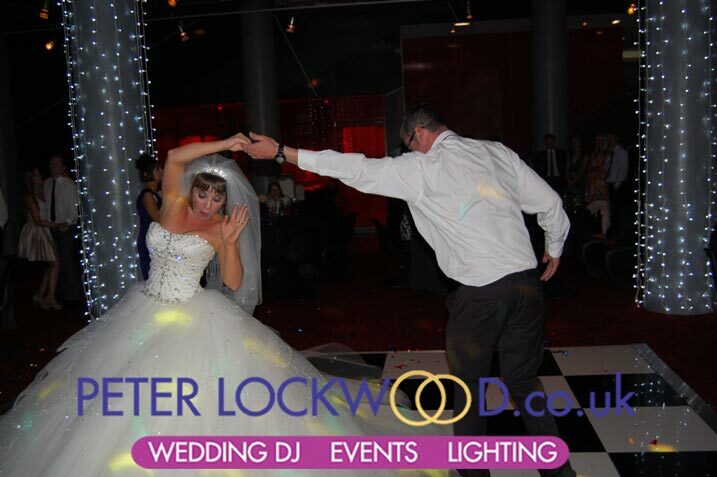 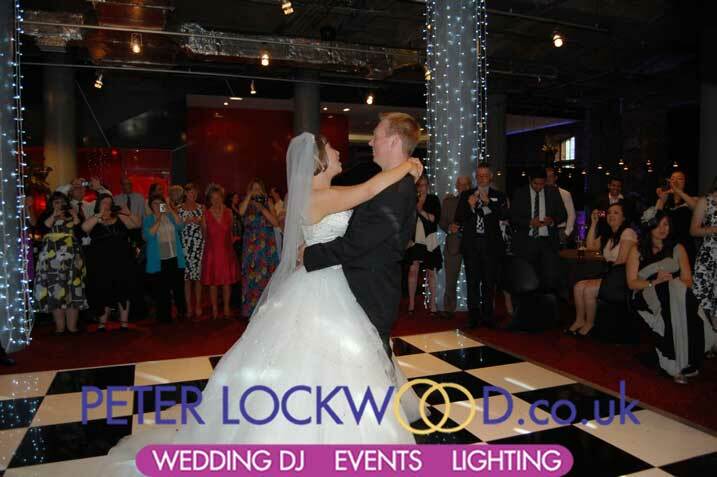 The Bistro is a function room spread over 3 levels I always think its best to have the dance floor on the middle floor. 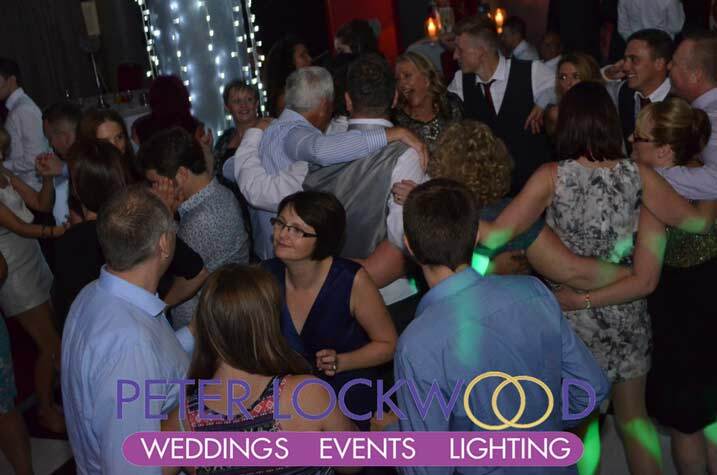 The Pennine Suite at the Place Hotel is all on a single level, it is smaller than the Bistro but still big enough for wedding receptions.